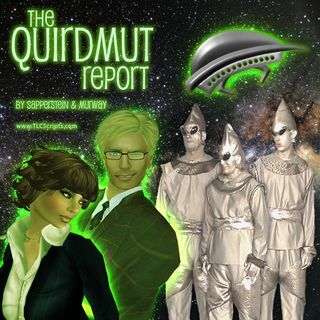 The Quirdmut Report, Ep8 - Home At Last ... Now What? Well, time for a little something different ... in Episode 8 we open with a lovely little musical interlude and Benjamin Wickerdents returns to update us in his own way. The journey home has begun, and yet, there's more to be told. Everyone seems a little bit worse for wear and yet, it's one small step for mankind, one giant problem for mankind's digestive systems.